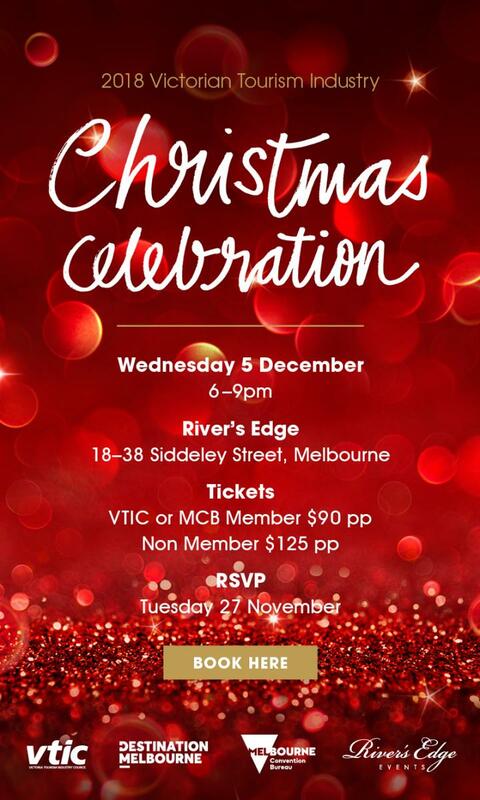 Destination Melbourne, Melbourne Convention Bureau (MCB) and Victoria Tourism Industry Council (VTIC) invite you to join your industry colleagues for a night of celebration and networking. This year our event takes place at River&apos;s Edge Events, located within Melbourne’s most recent waterfront development WTC Wharf, on the fringe of the city. Gaze out over the river and city skyline as you network with industry professionals, indulging in the finest selection of drinks and canapés. *Ticket prices include GST but booking fee applies.